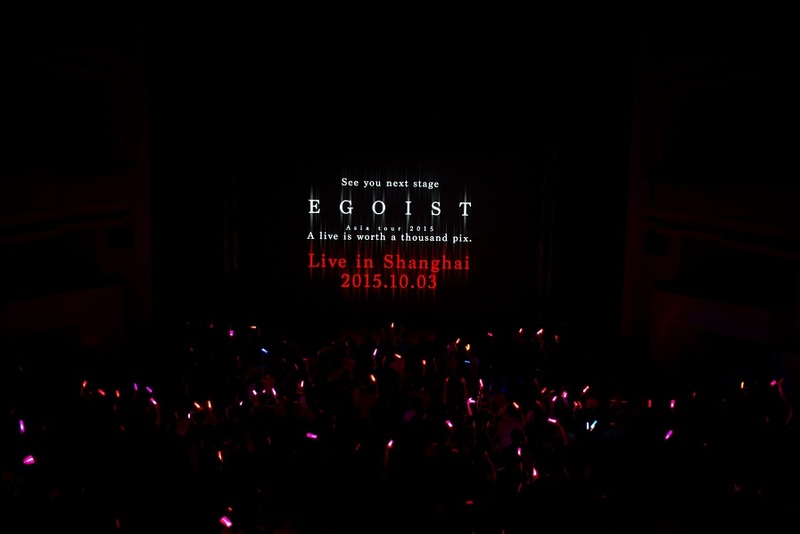 On a hazy morning of 12 September 2015, EGOIST held her first ever solo live concert performance at the National University of Singapore’s University Cultural Hall. 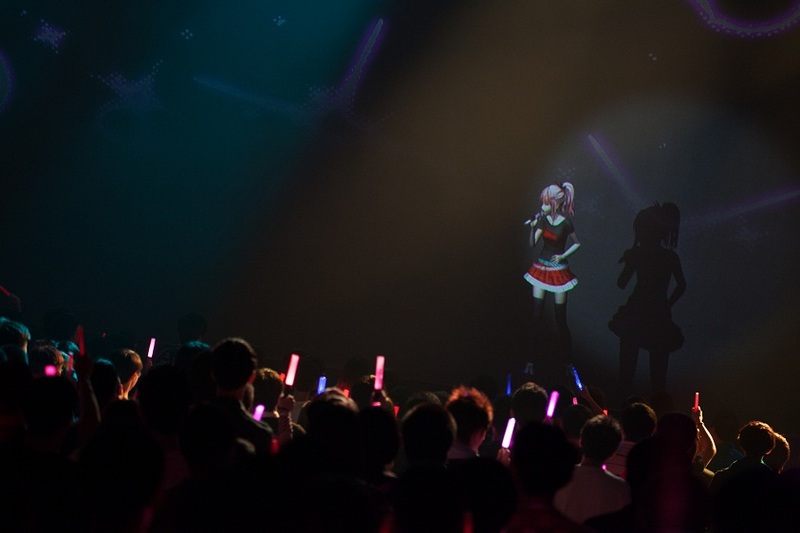 The concert has been mind-blowing experience for the fans thanks to the help of the new improved version of the “3.5D the Live” which portrays out the hologram of Inori on screen which capture’s every movement of Chelly while she’s hidden behind it. With the lights darken starting off with a short opening cinematic from the anime ‘Guility Crown’. The anticipation in the hall to see Chelly’s appearance on stage grew stronger and stronger every second. 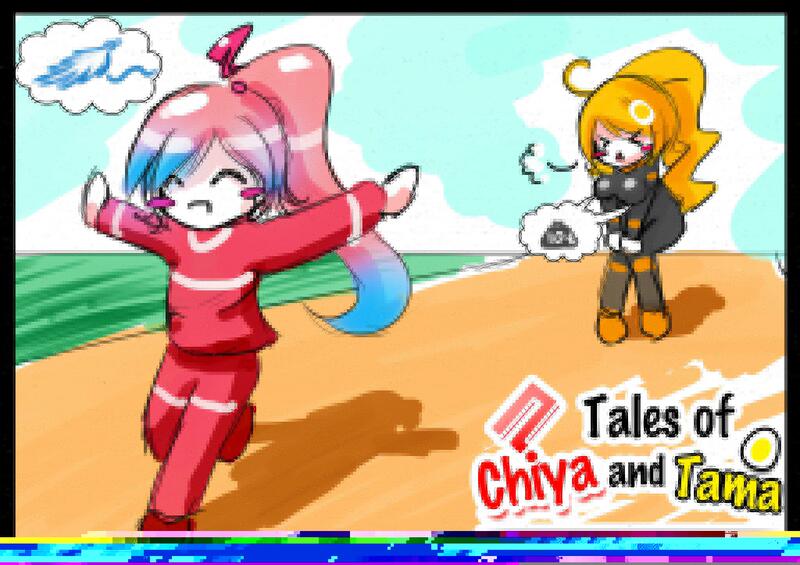 At the end of the cinematic appeared ‘Yuzuriha Inori’ the persona of Chelly standing on stage while she’s hidden behind the screens. 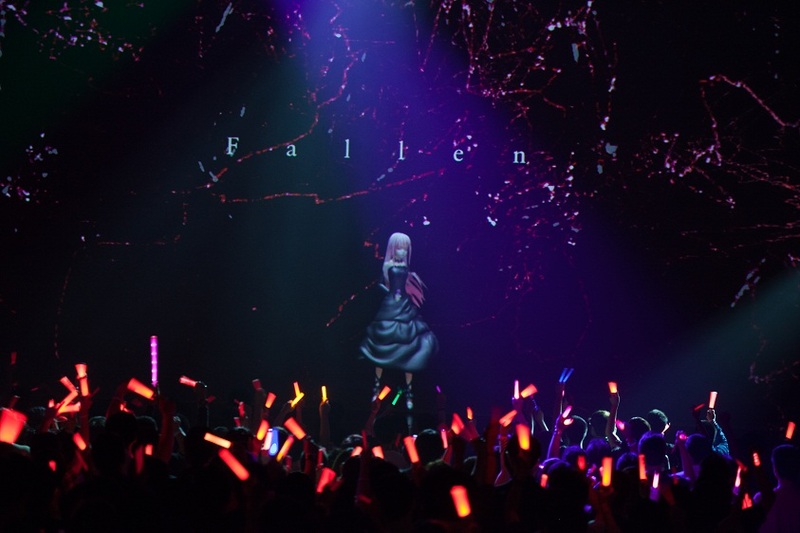 Starting off with her first song ‘The Everlasting Guilty Crown’ which is the second opening from the anime ‘Guility Crown’. Getting the crowed hyped up waving their lightsticks as fans cheer in excitement. But there was a little awkwardness which filled the hall as they looked at each other in doubts. Turns out before the start of the concert the audiences were encouraged to stay seated in their seats for their own safety. But that rule will be soon overruled by the passion of the fans. 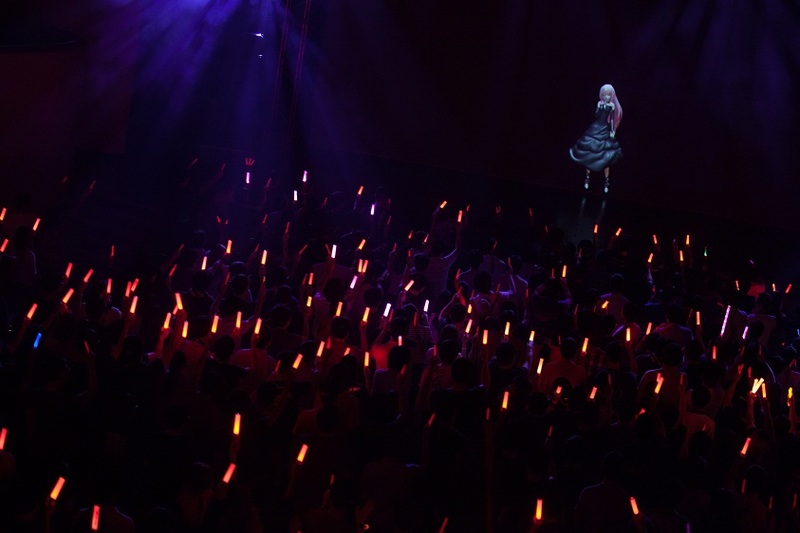 The second song ‘Ame, Kimi Wo Tsurete’, which got some fans started stomping their feet along with the music as they wave their lightsticks. Follow on next is ‘Lovestruck’ a song which gives you a feeling like you were being hit in the heart by the emotion of love by Chelly’s voice. Ending the third song, Chelly address to the crowd in English greeting them, and told them that this is her second time back in Singapore. In exchange loud cheers of welcoming erupted back to her. 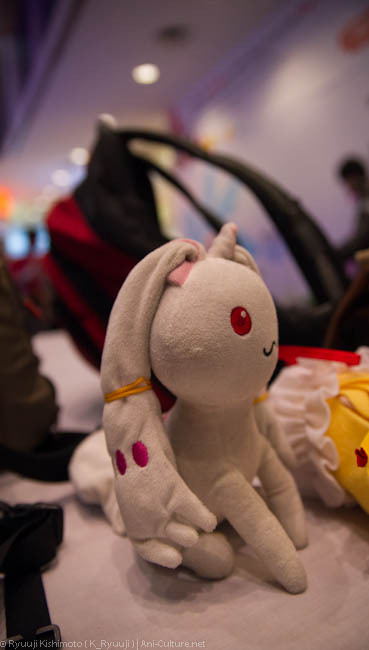 She also ask if they were having fun, and if there were any in the audience who attended her first concert in Anime Festival Asia 2013 Singapore. A large number of audience started raising their hands which got her a little taken back on it. 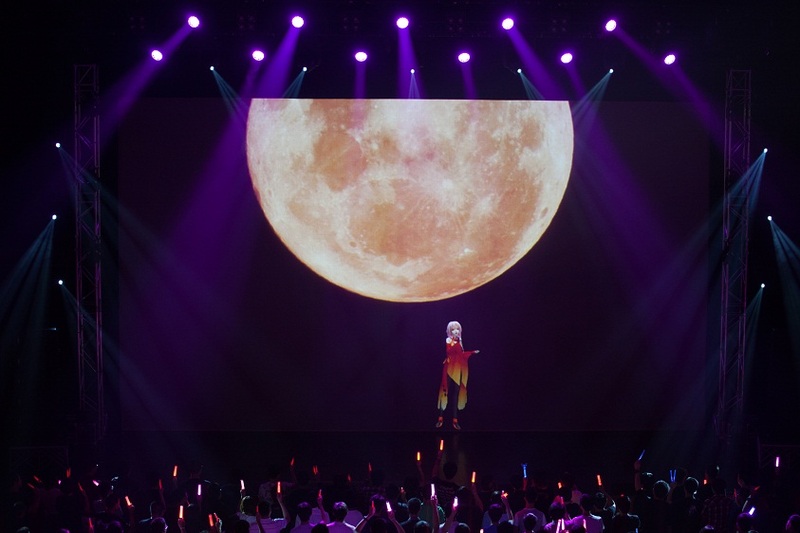 With the enthusiastic audience Chelly move on to her next song ‘Kimi Sora Kiaseki’ a slow and smoothing song follow by a short verse from ‘Genzai No Tomoshibi’ before singing ‘Euterpe’ fans can be heard singing along with her. The CGI on-screen which changes the themes along with the music plays a big part in portraying out the feelings and story behind each song. ‘Kanadenaru’ was next at this time we can already see some fans getting emotionally touched by her addictive capturing voice. Follow on by ‘Planetes‘ a song from Guilty Crown which begins with some telegraph encoding moose code message hidden behind it by Inori which speaks of some feelings of her waiting to be discovered as it slowly fades away. The concert came to abrupt halt due to minor technical issue occurred which lead the crew on a sudden overdrive mode trying to get it fixed. Taking the opportunity Chelly interacted with the crowd discussing about everything from her school live, to what she had for lunch, and asking the audience for suggestions. Someone in the crowd suggested chicken rice and she replied that she had it for lunch but she didn’t eat the chili as she couldn’t take spicy food. She also asked if there are any overseas fans in the audience which got them cheering in excitement as reply. 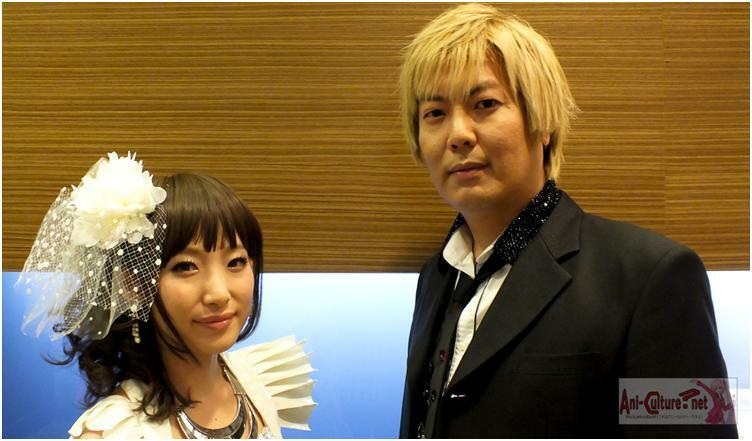 With the issue resolved, Chelly started off with the song ‘Namae no Nai Kaibutsu‘ which immediately transported the audience into the dark and dynamic world of ‘Psycho Pass’. This song is really popular as it was used in the first season’s ending theme song. A sea of fire started appearing in the darkness with everyone waving their lightsticks. 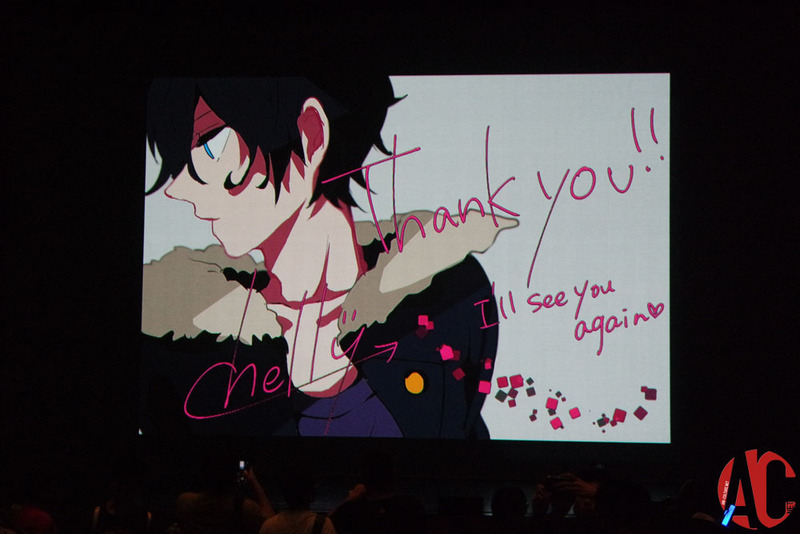 Continuing on ‘Fallen‘ was next on the list second ending theme song getting the audience on their feet jumping and bringing the energy level in the hall on the next level. 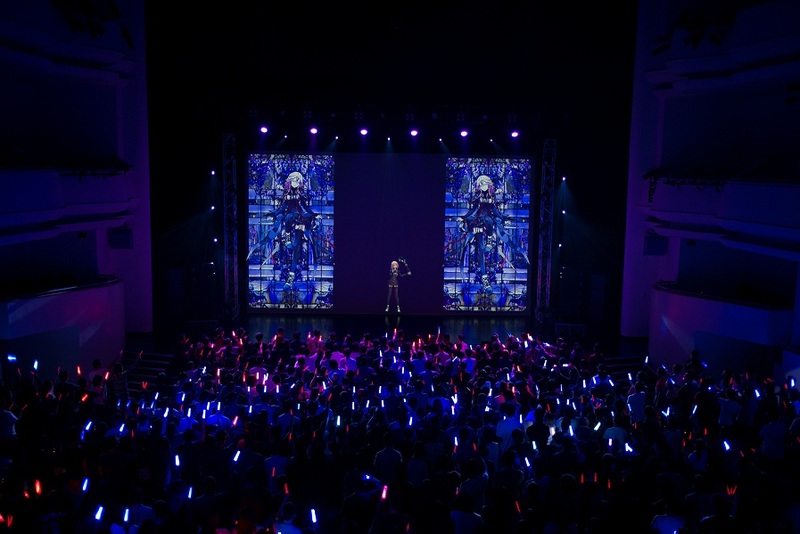 To the surprised of the audience Chelly bought to them 3 new songs the first song ‘Reloaded‘ which is to to be released on November 11, 2015 this year as the theme song for the anime ‘Genocidal Organ‘. A high tempo song which comes with meaningful and strong message behind it mentioned by Chelly in our interview with her earlier on. Second song ‘Ghost of a Smile‘ which will be used as the ending theme for the anime ‘harmony’ upon hearing it you could feel the sorrow feelings that she was trying to portrayed out from it. The third new song was ‘Door‘ which comes with a little jazz and majestic feeling in it filled with mystery that seems to be waiting to be uncovered the theme song for the anime ‘The Empire of Corpses‘. And with the CGI on-screen come an interesting flow of story and visual on it. The next set of songs ‘1.4.2‘, ‘elbadaernU‘, and ‘Suki to Iwareta Hi‘ will definitely be a big welcome to fans who hit the clubs often. Transforming the concert hall into a club felt atmosphere filled with music that comes with techno tunes, varied with the upbeat melody, enchanting, joyful, lively music. 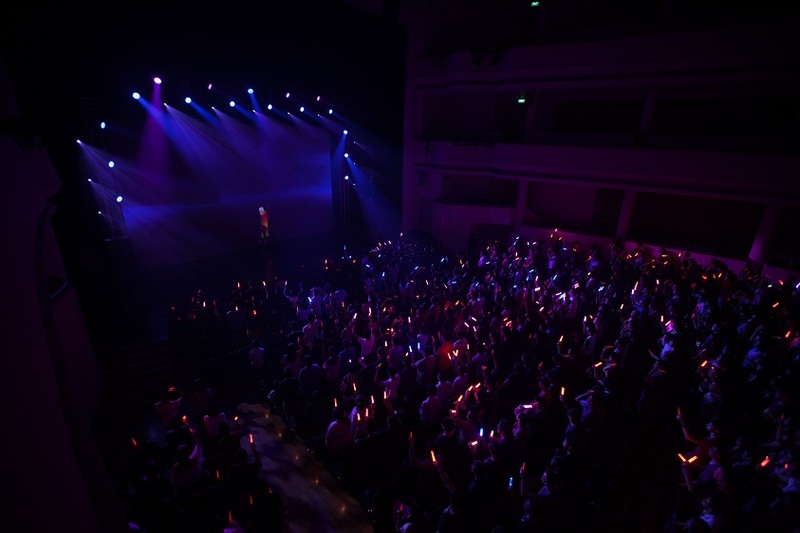 Getting the audience on their feet dancing around in high spirits, lightsticks in their hand waving enthusiastically and smiling cheerfully as they dance along with the music. The next song which is the last ‘All Alone With You’ a song which lots is familiar. Where everyone can be seen singing together as one with Chelly leaving her a memorable night before her disappearing in the dark. The ‘ENCORE’ chant started to sound with fans screaming the chant at the top of their voices. 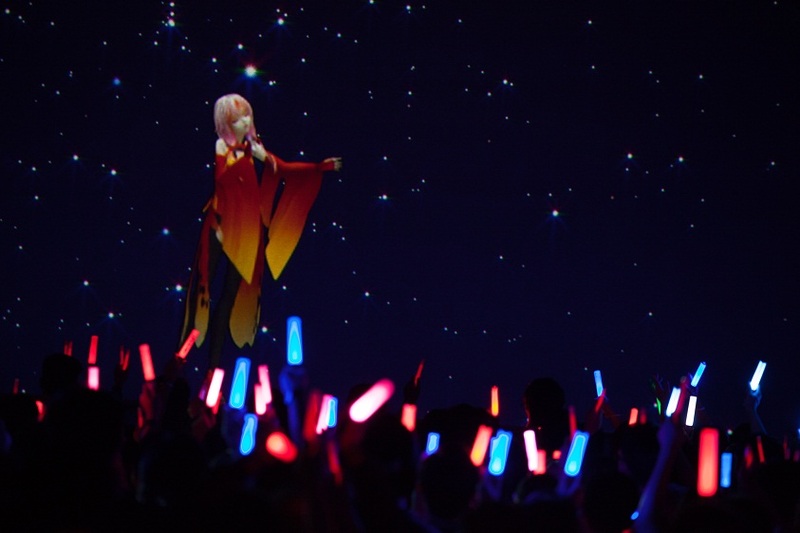 With it a cinematic show started on screens it was from the ‘Bravely Second: End Layer’ game. 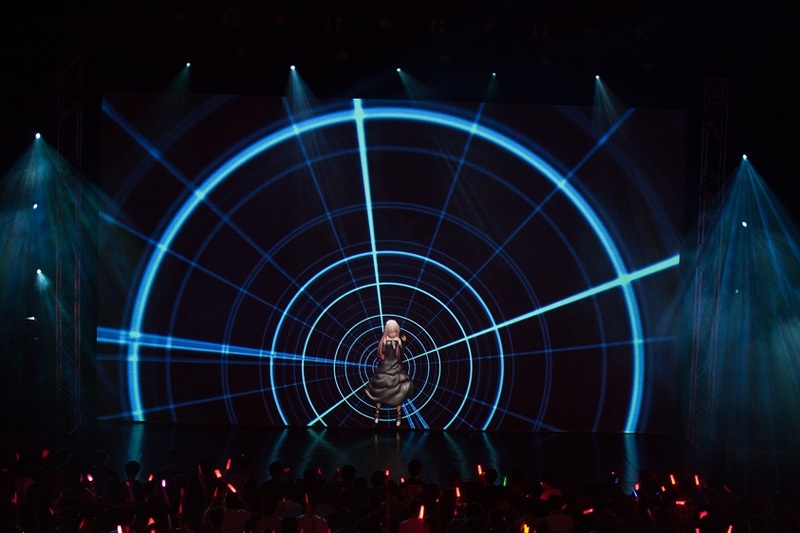 And once again Chelly appearing back on stage with her avatar Inori dressed in her encore attire bringing two songs to the audience the opening theme titled ‘Great Distance’ and the ending theme ‘Last Song‘ from the game. Continuing on with ‘Extra Terrestrial Biological Entiries‘ and ‘Lovely Icecream Princess Sweetie‘ before ending off with ‘Departures‘. A touching song filled with sadness, hope and desire to end of the night as her departure and farewell to her fans. But wait that’s not the end a surprise announcement on her concert in Shanghai, China, on 3rd October 2015, was announced followed by a thank you message from her before ending this marvelous night. Tails of cat²: Closure… …? But also for a lot of conventional loans, the common minimum deposit is 5 percent.